TWO Move-In READY Homes at The Canoe Club in Fayette – ACT Fast! Ready to move into a new home and start out the new year in an exciting new community? The Canoe Club has just announced special savings on two of their MOVE-IN ready homes but ACT FAST! 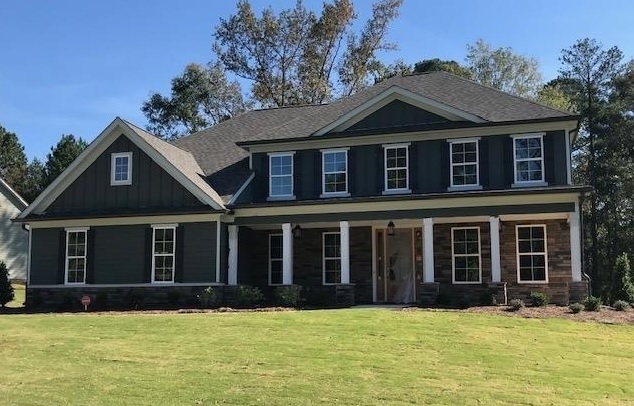 Homesite 80 | 239 Blue Point Pkwy, Fayetteville GA 30215 |$441,560 | 5 Bedrooms, 4 full Baths – The Millcreek by New Leaf Homes on 1 acre. Great open Kitchen with White cabinets. Large island and stainless appliance package. Covered back porch. Bedroom on main plus a study. Master up with sitting area. Media room READY NOW!